1. With G-sensor function. When gravitational acceleration reach 6g (1g=9.80m/s), this camera will save present video as undeletable files. 2. 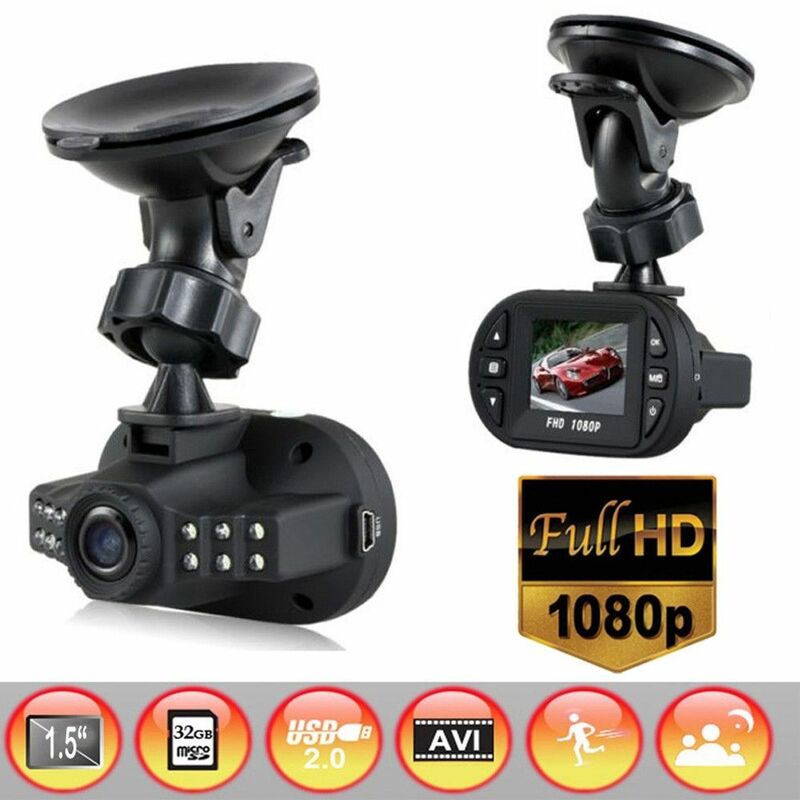 Automatic power on/off function, support recording start and shutdown synchronization with auto and save the video files after connect to the car power supply. 3. Support time setting,you can set the recording time before you start a driving. 4. Motion Detection: it will be recording automatically if there is an object movement and stop recording if no movement. 5. With buit-in speaker, can play the recording video and processing reminding sound. 6. Recording resolution can reach up to 1080P at M-JPEG video format. 7. Equipped with rechargeable battery which can be charged through PC or Car charger adapter. 8. Support TF Card from upto 32GB (TF card is not included), support recycled recording and repeat storage. 9. 1.5\" inch color LCD which can show the settings directly. 10. With video output by USB cable to the PC. 11. Support audio sound recording when working. 12. With 12pcs LED infrared lights, supply light compensation at black night. 13. Support motion detection function. Language support: English, Russia, Japanese, French, Italian, German, Spanish, Chinese, Korean. Automatically power on/off: support when connecting to car power supply.